You won’t find SAP products on the shelves of your local retailers. But wherever you shop, you’re probably benefitting from code written by their vast engineering team. In fact, the barcodes you swipe are likely stored in an SAP system, perhaps multiple times, as they made their way from a factory to a warehouse to a checkout aisle near you. Afterall, SAP is one of the largest provider of business software in the world. The company has become so integral to how today’s businesses work that 77% of all transaction revenue touches one of their systems. And it’s not just retail. The software they build services 25 different industries—fashion, financial services, agriculture, human resources, and more. No matter the vertical, SAP knows that the key to staying competitive is providing experiences that clients love, fast. And as clients expect more from software, SAP solutions need to rise to the challenge, expanding uptime, features, and support without compromising speed or security. To keep up with competition from all corners, stay flexible as they scale, and support their engineers by the ten-thousand, SAP chose GitHub Enterprise. It started six years ago when a smaller engineering group at SAP asked their managers if they could use GitHub for a project. Primarily tasked with building out SAP’s infrastructure-as-a-service initiative, the team pushed for the platform as they looked for a way to build collaborative but practical workflows. Because they liked using GitHub outside of SAP—for open source contributions, personal projects, and previous jobs—the platform seemed like a natural fit for sharing code and sparking innovation. And when developers on other teams noticed how it improved productivity, they joined in. SAP now has more than 35,000 developers in 6,000 GitHub organizations. Together, they maintain at least 155,000 repositories that serve as a centralized place for finding code, sharing documentation, and kicking off new ideas. Everywhere in the world SAP developers work, they use GitHub. Eighty-one percent are software developers, while the rest range from data scientists to product owners and designers. A full 95% of them use GitHub frequently to submit code, update issues, and inspect their dashboards. GitHub ranks at the top of the company’s software tools satisfaction list, and comes highly recommended across the organization. As developers work on one platform, years of their best ideas, teachable moments, and the conversations behind them all make it to GitHub. To take advantage of the growing software community within SAP, developers are encouraged to innersource work, opening up projects to feedback and ideas from the rest of the organization. As SAP undergoes a “cloud transformation”, GitHub has become a way for the team to bridge the gap between open and closed source projects. With more lines of code shifting from their servers to the public cloud, SAP can build right alongside the open source community. They can integrate leading open source technologies into their own, saving time building proprietary solutions. And they can start contributing code to the projects they use most. With integrations serving thousands of developers, success is tied directly to the reliability of SAP’s toolchain. Sauerzapf is deeply aware of the value of on-demand support and service-level agreements (SLAs) as a result. “With our big push to the public cloud comes the automation of infrastructure and the required tooling,” he explained. 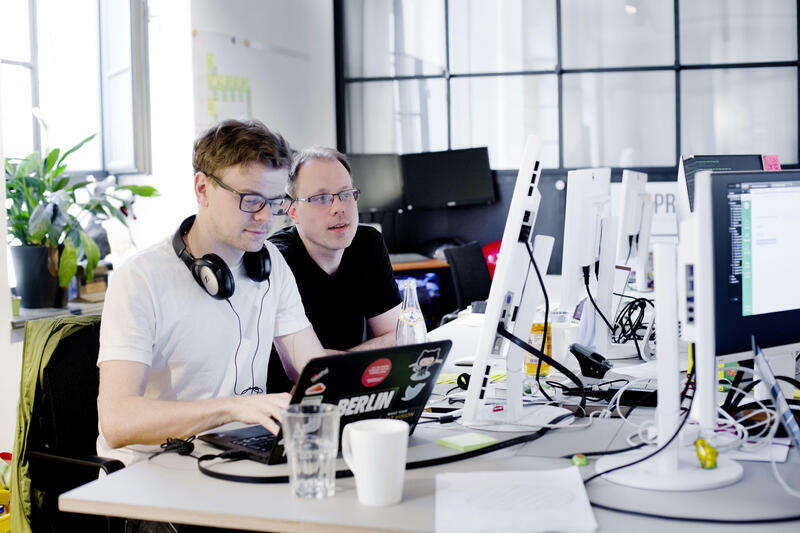 “All of these tools store their code on GitHub, making the platform the source for everything.” Integration SLAs are necessities—and GitHub Premium Support makes sure that Sauerzapf’s team is successful, no matter when they work. With reliable tools that fit their needs, SAP has created a flexible infrastructure that grows with the team, incorporates open source code, and builds on best practices from the open source community. “This collaborative way of building software is unstoppable. It isn’t going away—and GitHub has its place in that,” said Sauerzapf, who looks to the future as his team continues along its cloud transformation. “We can make the whole company rethinking how they build software”.